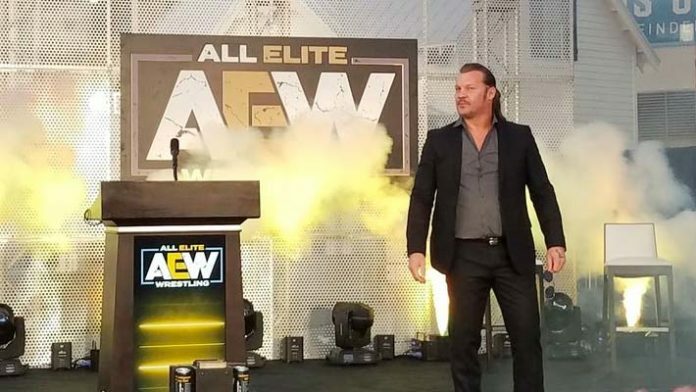 All Elite Wrestling (AEW) star Chris Jericho reveals who his all-time dream opponent would be, and what the match stipulation would be. All Elite Wrestling (AEW) star Chris Jericho recently shared a Q&A session he did with fans on the latest episode of his “Talk Is Jericho” podcast. The Q&A was recorded on his First Annual Chris Jericho Rock & Wrestling Rager At Sea cruise. During the session, Jericho revealed his all-time dream opponent, and what he’d like the match stipulation to be. “I think when I go through, like, my three heroes when I was a kid were Shawn Michaels, Ricky ‘The Dragon’ Steamboat, who is also here on this ship – I will be doing a live Talk Is Jericho with ‘The Dragon’. And the other one was Owen Hart. And I got to work with Shawn extensively. “I got to work with Steamboat a bunch of times. I never got to work with Owen Hart and one of the reasons why I left WCW to go to WWE, if you have a list of 100 reasons, one of the 80 reasons or the 90th reason, or lower level reasons was ‘maybe I’ll get a chance to work with Owen Hart’ and before I got there, he passed away. Unfortunately, Hart passed away in May of 1999 after an accidental fall at the Over The Edge pay-per-view (PPV). He was 34-years-old at the time of his death. Hart was a two-time Intercontinental Champion, a four-time Tag Team Champion, and the 1994 King Of The Ring winner. What do you think about Jericho naming Hart as his dream opponent?